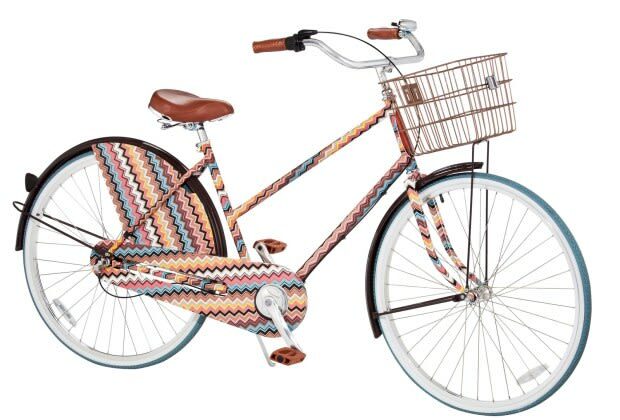 In marketing it&apos;s high-fashion at affordable prices, ’60s-inspired collaboration collection with respected Italian fashion house Missoni, Target has produced the pictured above Missoni-designed bicycle. The 3-speed ladies’ comfort bike comes in a familiar Missoni pattern to match the line, with a chain case and skirt guard, and a front basket. The bike will be sold online only and retails for $399.